The recent Revenue review of independent contractor companies in the South West region is now to be extended nationwide, according to a report today from Chartered Accountants Ireland. Their new “Services Contractors Project” targets companies which operate as a vehicle to enable individuals to provide contracting services to a larger company. 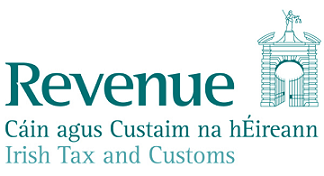 Revenue’s Assistant Secretary Tony Buckley wrote to the Irish Taxation Institute in January confirming that their review of contractors had already commenced in the South West region (counties Cork, Limerick, Kerry and Clare) and was “likely” to be extended to other Revenue Regions in due course. Revenue’s main concern seems to be that some companies may be charging an unduly high level of expenses against their taxable income. Of course there may be valid reasons for a company to have significant deductible running costs, but Revenue’s focus is on those cases where expenses may have been exaggerated. They have already invited contractors in the South West region to review their affairs and make voluntary disclosures of any tax underpayments. unprompted disclosure (i.e. where no audit or investigation notice has issued) – penalty of 10% of the tax underpayment. failure to make a complete disclosure, 75% – 100% penalty. It now appears that contractors nationwide will now be asked to undertake this review, and to make good any tax underpayment. If you have concerns about your own position, you should review the implications of this news with your accountant or tax advisor, and if necessary, seek independent professional advice, as soon as possible. Today’s Chartered Accountants Ireland report is here. Previous Post: The Local Property Tax: How Will It Work? is by measuring the size of your basement. Unfortunately, this is often ignored or minimized by non-professionals. of water adjacent to the main river. folks don’t discuss such issues. To the next! This paragraph is really a nice one it assists new the web viewers, who are wishing in favor of blogging.